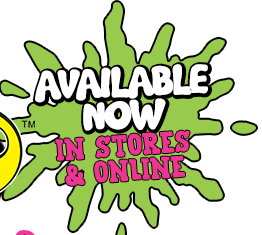 Click the Amoeba logo CLICK HERE or click the image above to watch the episode online now. 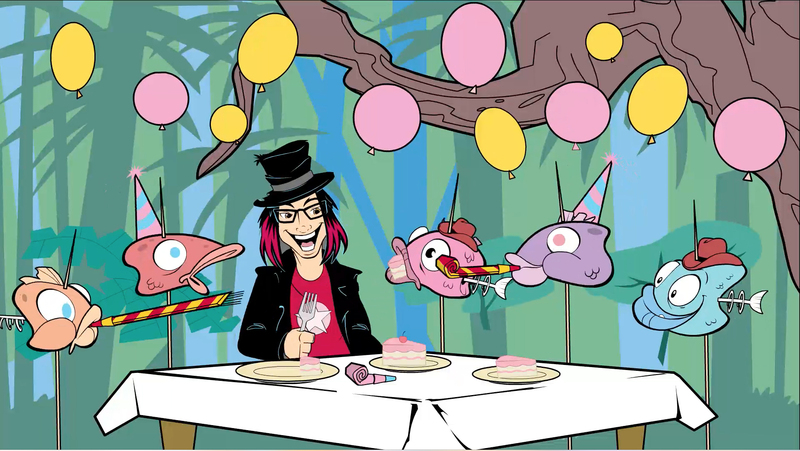 Demented Punk serves up a heaping platter of FISH HEADS in the all-new, fully animated music video from the #1 Billboard charting, punk-rock comedy hybrid, DR. DEMENTO COVERED IN PUNK. 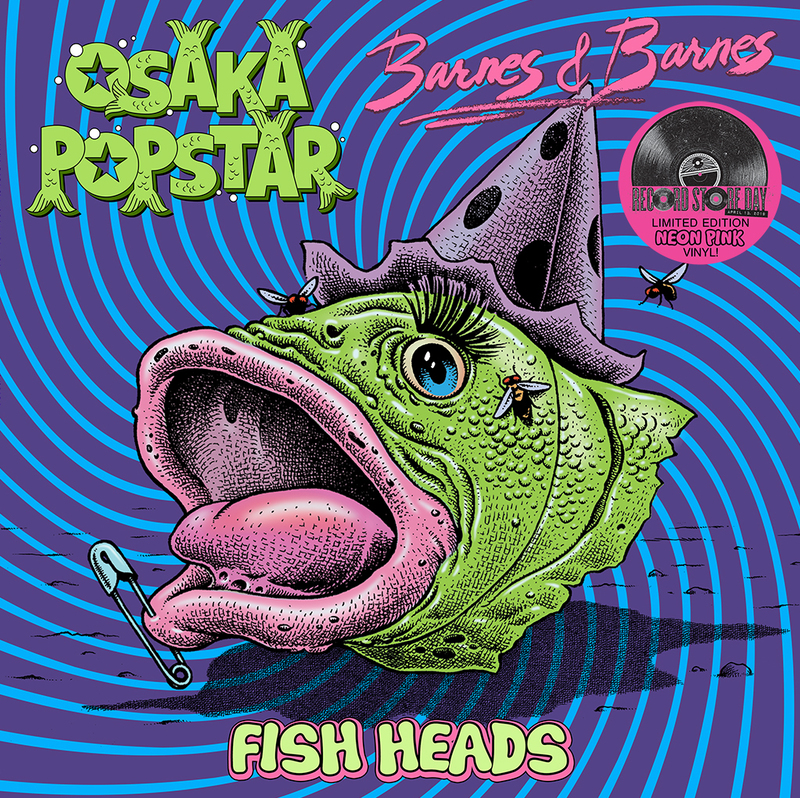 The all-new animated music video from the album brings to life OSAKA POPSTAR’s punk-pop cover version of the #1 most requested song of all-time on the Dr. Demento Show, Barnes and Barnes’ surreal novelty hit FISH HEADS. While the original song celebrates its 40th anniversary this year, it’s now reimagined for the 21st century in a propulsive, celebratory, and near-anthemic version. The new animated video is ripe with pop culture references and influences ranging from sugar-coated breakfast cereals, the Twilight Zone, Queen, and Captain Beefheart’s “Trout Mask Replica” to name a few. 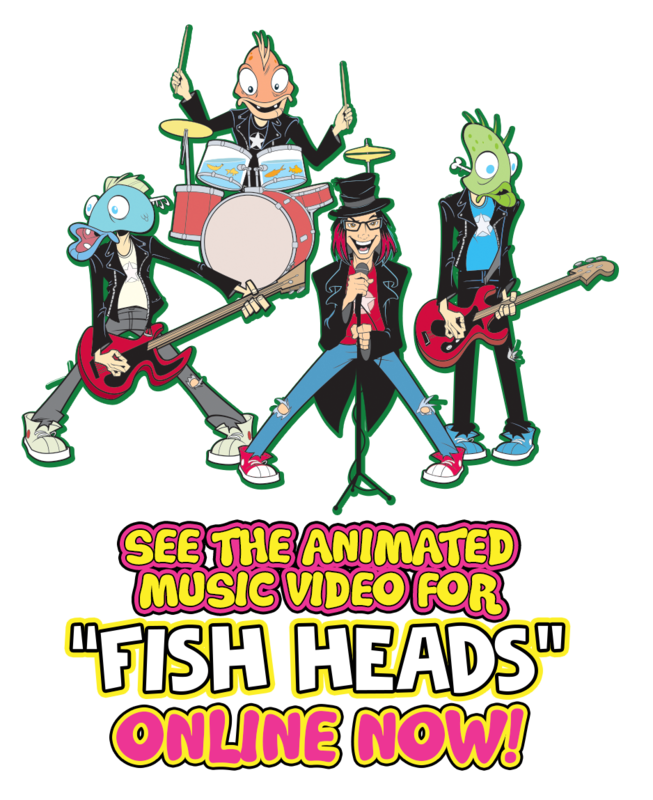 The video also includes appearances from Dr. Demento, Barnes and Barnes, and an homage to actor Bill Paxton (“Aliens”, “Weird Science”) who starred in, and directed, the original FISH HEADS live-action music video which debuted in 1980. 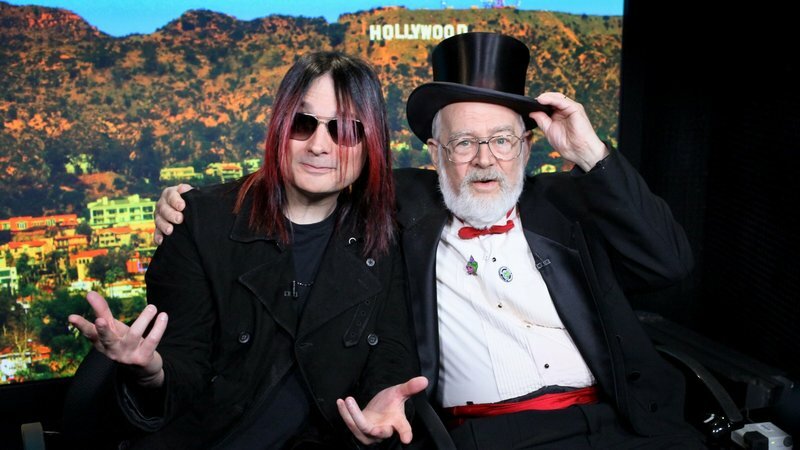 Like Paxton before him, DR. DEMENTO COVERED IN PUNK producer, and OSAKA POPSTAR vocalist, John Cafiero directed the new music video and stars—albeit the latter in cartoon form. A former animator himself, Cafiero’s team of collaborators on the short consisted of illustrator/animator Sam Fout (who’s resume includes LucasFilm, Warner Bros, Hanna-Barbera) and Todd Cronin (of the appropriately named Fishtoonz Animation). The music video even opens like a mini TV show, set to the DR. DEMENTO COVERED IN PUNK theme song heard on the album (also performed by OSAKA POPSTAR), and manages to bring to life a variety of incredible artwork from the impressive album packaging. Look for a cameo by the album cover painting by iconic illustrator Drew Friedman (Entertainment Weekly, Time Magazine, Rolling Stone), as well as contributions by Topps trading card artist Neil Camera, and illustrator Stephen Blickenstaff (The Cramps) who’s giant fish head from the back cover of the album makes a key cameo appearance. 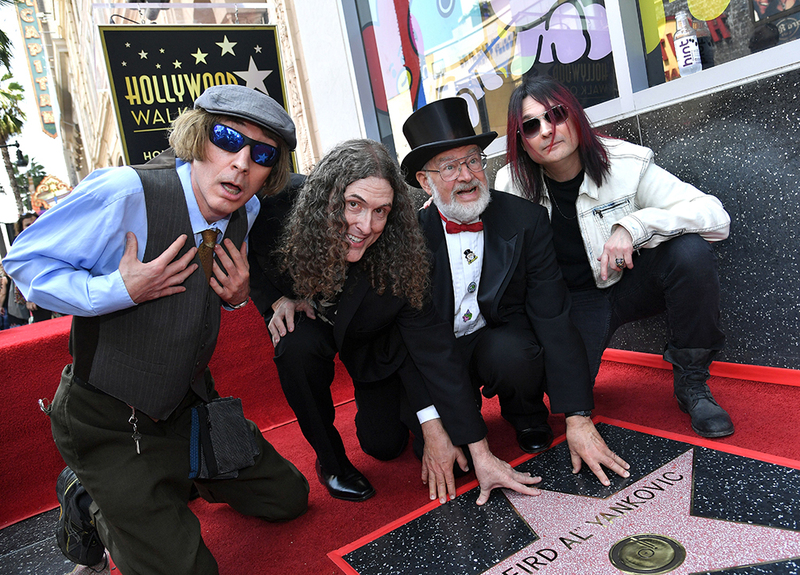 On Aug. 27, 2018 “Weird Al” Yankovic received a star on the Hollywood Walk of Fame, Dr. Demento spoke at the ceremony and the city of Los Angeles proclaimed it “Weird Al Day”! Pictured from L-R: Comedian Emo Philips, “Weird Al” Yankovic, Dr. Demento & John Cafiero (Osaka Popstar) celebrate “Weird Al Day” in LA. The new “Weird Al” x “Dr. Demento Covered in Punk” ‘Brat Beater’ Tee (featuring artwork by Garbage Pail Kids artist Neil Camera) is available now from Demented Punk. A much talked about track on “Dr. Demento Covered in Punk” is what Rolling Stone called a “growling and expertly melodramatic” version of the Cramps “Garbageman” performed by pop culture icon William Shatner. Demented Punk is set to commemorate that culture-clash with the release of an amazing 18” x 24” screen-printed poster suitable for framing. The edition, limited to 300 prints worldwide, showcases a mind-blowing illustration by artist Stephen Blickenstaff commissioned specifically for ”Dr. Demento Covered In Punk”. The all-new design created in homage to Blickenstaff’s original 1984 “Bad Music for Bad People” cover art, beams in the likeness of the legendary Shatner in place of the late great Cramps front man Lux Interior. 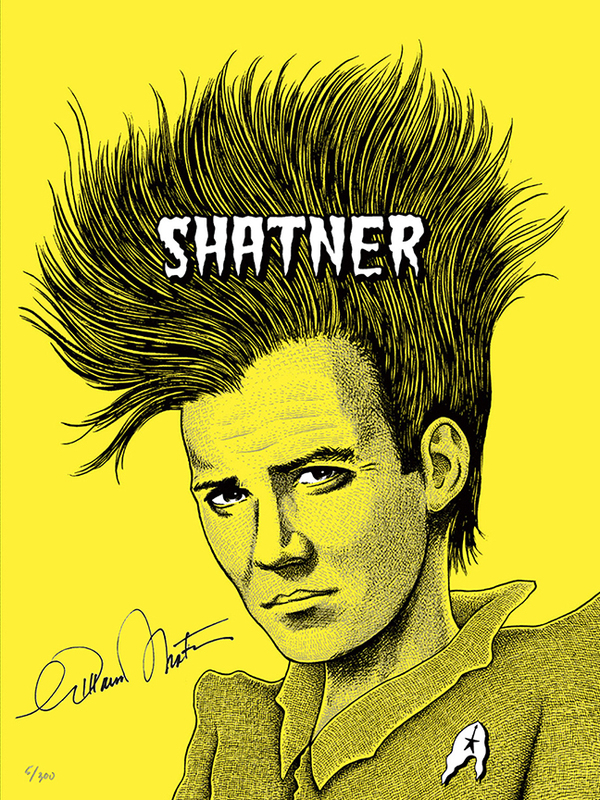 300 hand-numbered prints will be available on a first-come, first-served basis, 100 of which have been personally autographed by William Shatner. The limited edition screen-print is available exclusively at the Demented Punk online store while supplies last. Click to read about the new music video, the “Shatner-Cramps” Ltd Ed. signed screen-print, and the next ‘Demented’ music video to come—as reported by Rolling Stone, or scroll down for more below. 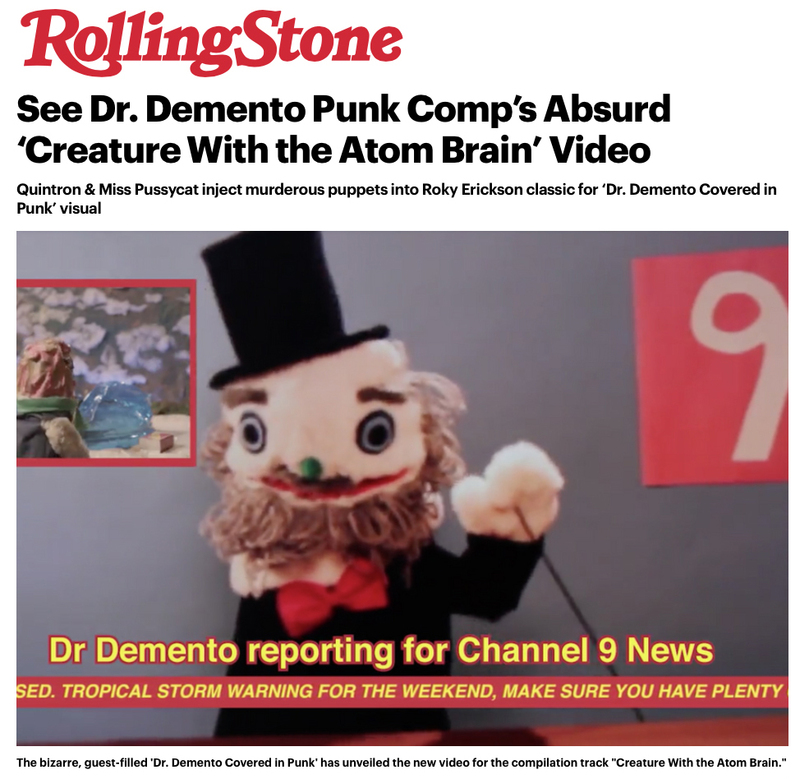 Demented Punk unveiled the debut music video from the chart topping two-hour demented punk extravaganza Dr. Demento Covered in Punk. 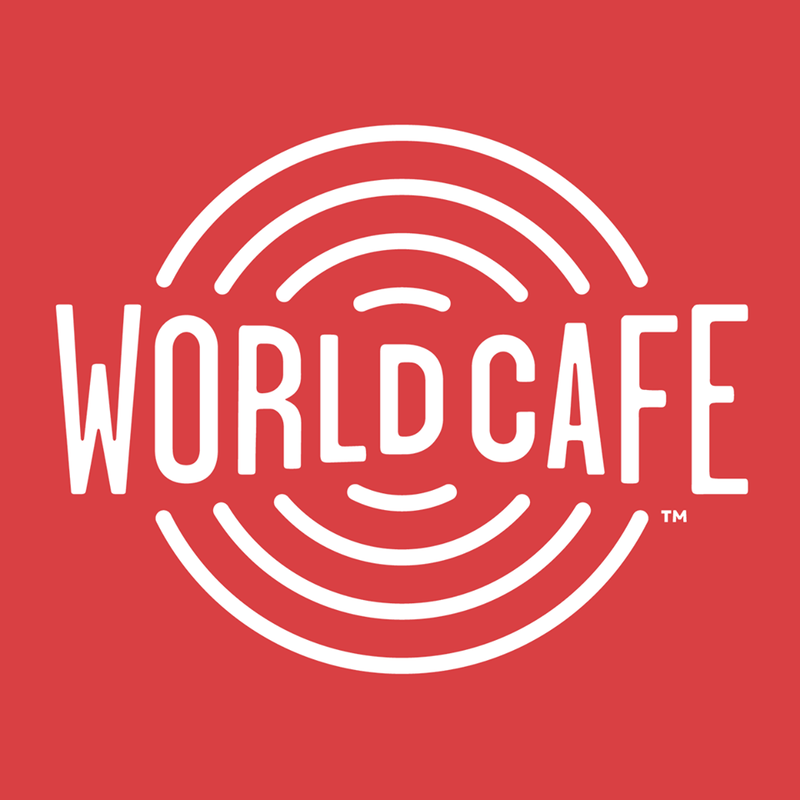 The album features an eclectic mix of artists from the world of classic and contemporary punk/indie/alt-rock, along with special guest stars from film, TV and more. This audio oddity is a modern-day homage to radio icon Dr. Demento, a world-renowned institution who has championed novelty music and its creators since the 1970s, available now at both physical and digital retailers. A full track listing can be found HERE. 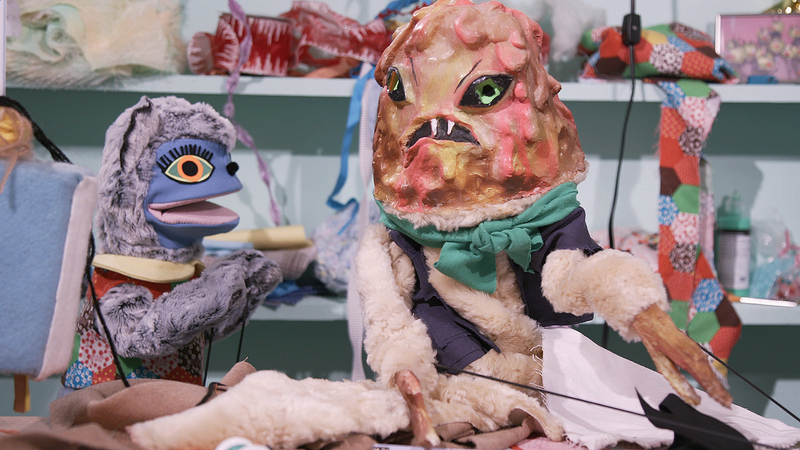 The debut music video, set to alternative swamp-rock duo Quintron & Miss Pussycat’s dynamic cover version of Roky Erickson’s “Creature with the Atom Brain”, stars an eccentric cast of puppets fabricated and directed by musician and puppeteer Miss Pussycat. Alongside the “Creature” and other surreal characters, the mixed media piece features “Dr. Demento” in puppet form—voiced by the good doctor himself, as well as musician and drum buddy inventor Quintron (in human form), Miss Pussycat, and a who’s-who of the New Orleans music underground making cameos. Quintron & Miss Pussycat are currently on tour. The music video, produced by John Cafiero (of the band Osaka Popstar)—who also produced the album itself (and performs the “Covered in Punk” theme song heard at the conclusion of the video), can be viewed online now in its entirety via the Demented Punk YouTube channel. The puppet-centric “Creature” has already caught the attention of groundbreaking TV show “Night Flight” (currently airing online via subscription and weekly on the IFC network), and set to air in an upcoming episode. In the coming weeks, the second music video from “Dr. Demento Covered in Punk” will be released; a fully animated accompaniment to Osaka Popstar’s punk-cover version of the #1 most-requested song of all-time on the “Dr. Demento Show”, the Barnes and Barnes novelty epic “Fish Heads”. The animated video is currently in production, nearing completion and set for release this summer. Click the screencap above to watch the CNN news segment on the new album “Dr. 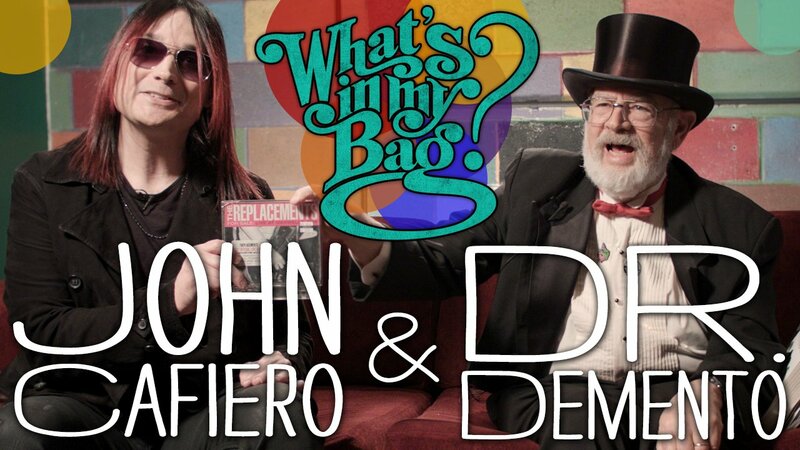 Demento Covered in Punk”, now airing worldwide! Osaka Popstar’s punk cover version of the #1 most requested song heard on the airwaves of the Dr. Demento Show comes to life in this tooned-up design by illustrator Sam Fout! Osaka frontman John Cafiero serves up mohawk finned “Fish Heads” on a sliver platter—decked in tattered top hat and tails in tribute to the good doctor. 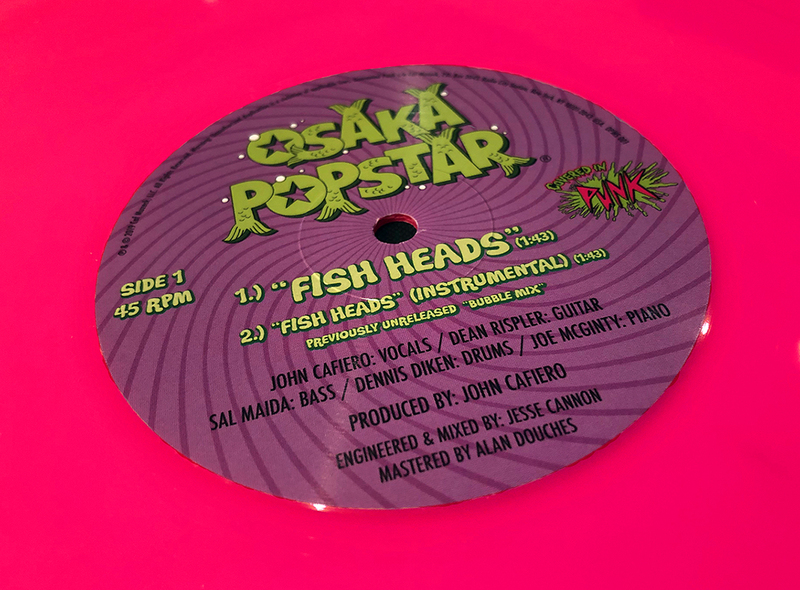 Features a customized ‘fishy’ rendering of the Osaka Popstar logo by artist Stephen Blickenstaff, plus a bonus pink Fish Head back print by Fout. Eat them up, Yum! 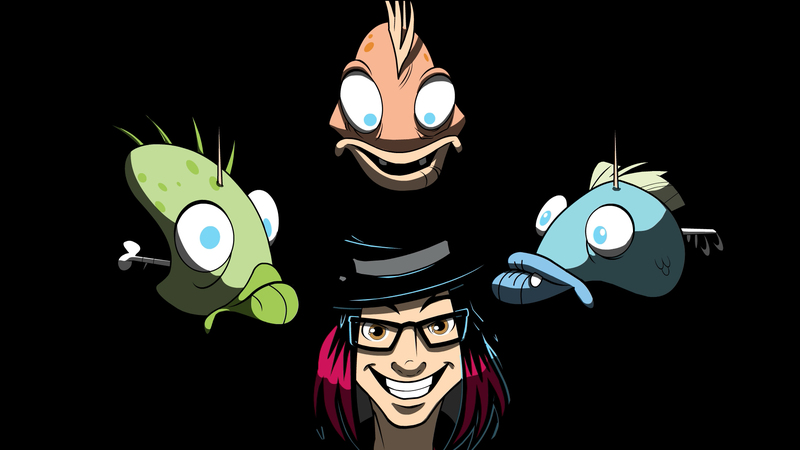 Also available in your choice of pink or blue are the toon’d up ‘Fish Heads’, (as seen on the new Tee and the interior art for the album “Dr. Demento Covered in Punk”), rendered as full color enamel pins for the ‘Covered in Punk’ line—collect them all! Pins measure 1-inch x 1-inch. 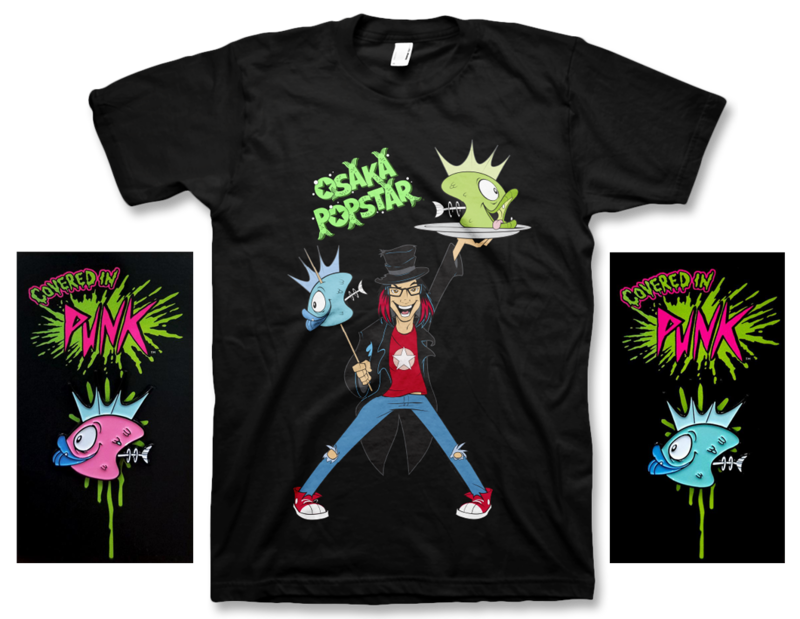 The new tee and both pins are now available in the Osaka Popstar Online Shop and the Demented Punk Online Store. 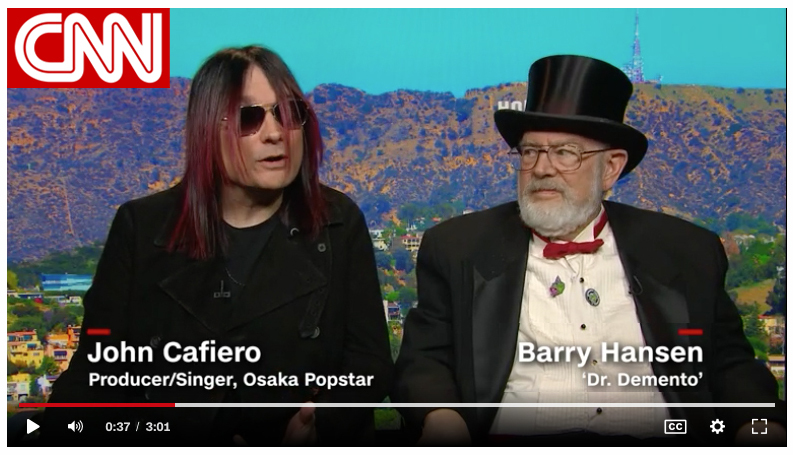 Dr. Demento and “Covered in Punk” Producer/creator John Cafiero (of Osaka Popstar) recently appeared on NPR’s nationally syndicated World Café for an in-depth interview segment that aired on over 200 different stations nationwide. 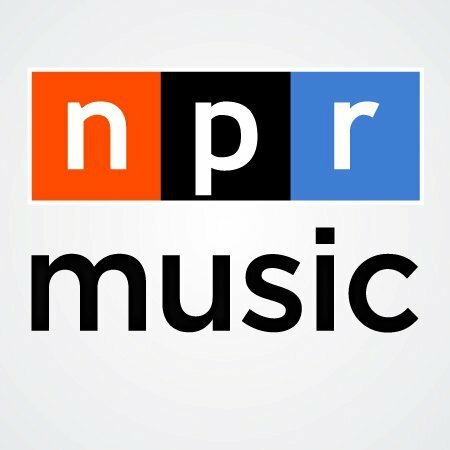 If you missed it, click to listen to the complete interview online now via NPR.